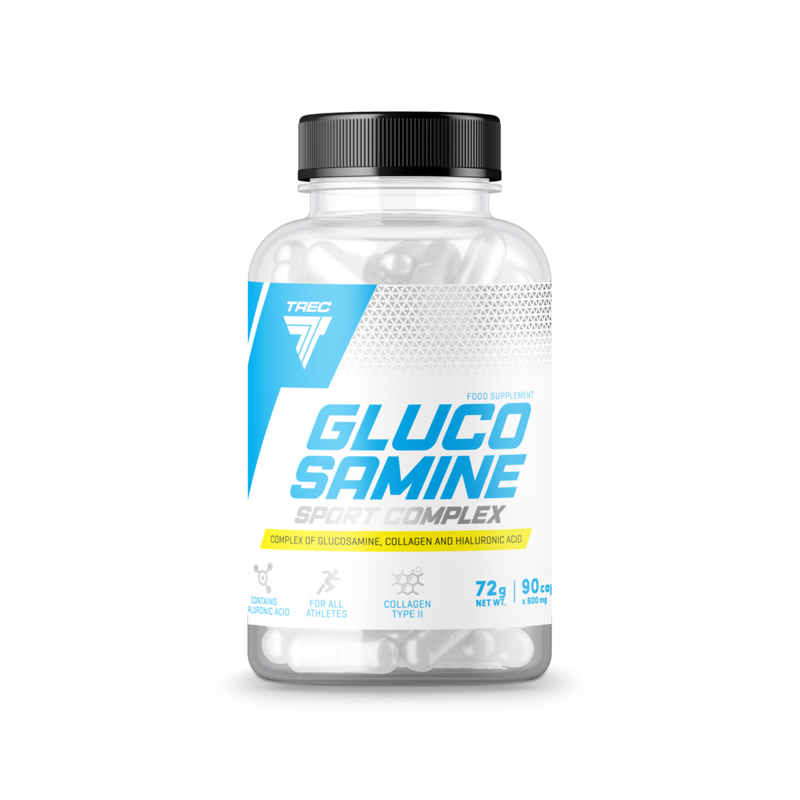 GLUCOSAMINE SPORT COMPLEX is a unique composition of glucosamine, hyaluronic acid and collagen, the components which form the structural elements of cartilage, ligaments and tendons. GLUCOSAMINE SPORT COMPLEX is recommended for persons exposed to increased joint strain, especially sportsmen practicing the following disciplines: team games, athletics, cycling and strength sports. INGREDIENTS: Glucosamine Sulphate 2 KCI (62,5%); Hydrolyzed Collagen Type II (18,7%); capsule shell (gelatine; colour – titanium dioxide); Hyaluronic Acid (2,1%); anti-caking agent – magnesium salts of fatty acids.